With the holiday season upon us we will soon be visiting lots of family and friends, which means a lot of opportunity to share germs – ugh! So I thought it would be a great time to revisit some basic etiquette pointers when handling all the cute babies this holiday season. 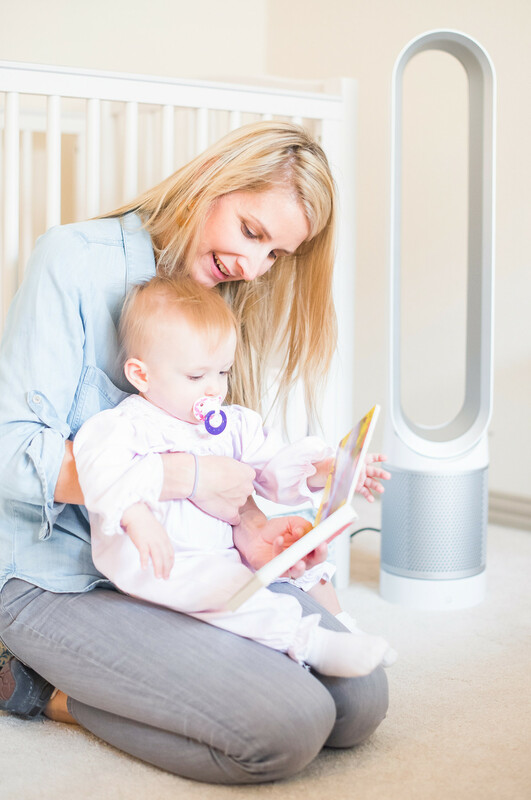 And I am thrilled to once again partner with eBay to share why I invested in a Dyson purifier. This post is sponsored by eBay. Thanks for supporting the companies I love! To say I have a little anxiety about germs and illnesses this time of year is an understatement. Last holiday season my mom totally missed Christmas because she had the worst case of the flu and then our baby was in the ICU for a nearly a week with pneumonia. So I will try anything short of standing on my head (okay might do that, too!) to keep my family healthy, especially during the holidays because that is a time when we rarely get to all be together. 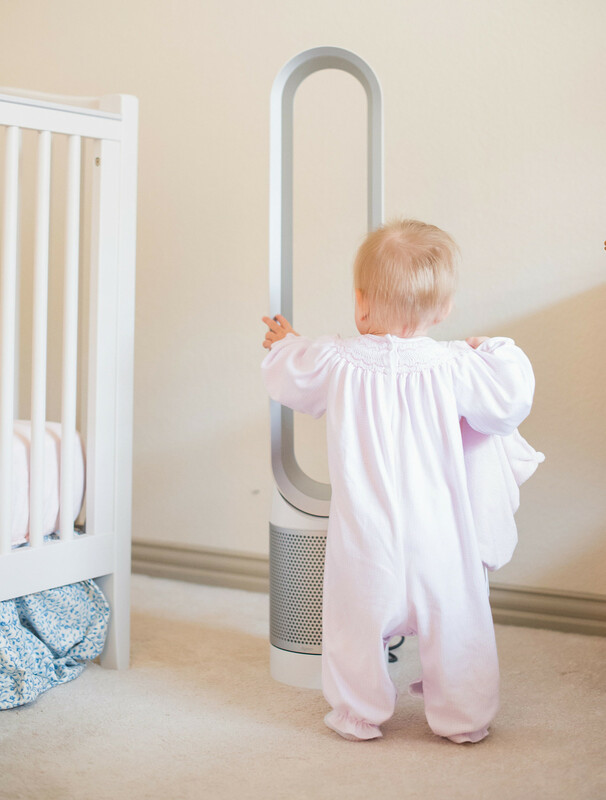 Dyson’s Air Multiplier technology delivers over 77 gallons per second of smooth, yet powerful airflow, circulating throughout the room. Our upstairs can get rather stuffy so I love that this fan has a backward flow that can circulate air without freezing her. But it has the option to be a cooling fan and emit cool air if needed (which I will do in the summer months when it’s 101 outside and gets so hot upstairs; our AC can’t keep up!). And since it doesn’t have any blades I don’t have to worry about Louise getting too close. 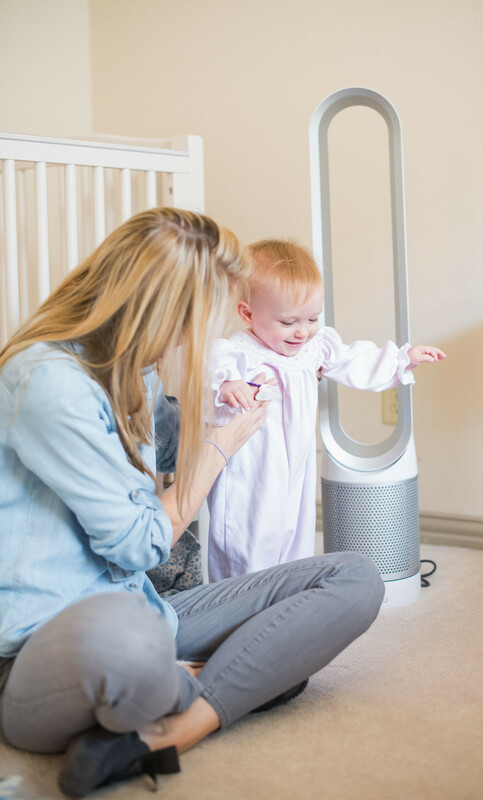 The Dyson purifier eases some nerves as we welcome lots of friends and family into our house this holiday season and honestly makes our house smell fresh and clean, too. It would be such a great gift for someone that struggles with allergies or has a pet that sheds because it helps keep their dander out of the air. Did you know that 81% of items on eBay are available new with the “buy it now” option? As you know, I love Dyson products as I have written about the Dyson cordless vac in this post (best Christmas present ever) and the Dyson hair dryer in this post. 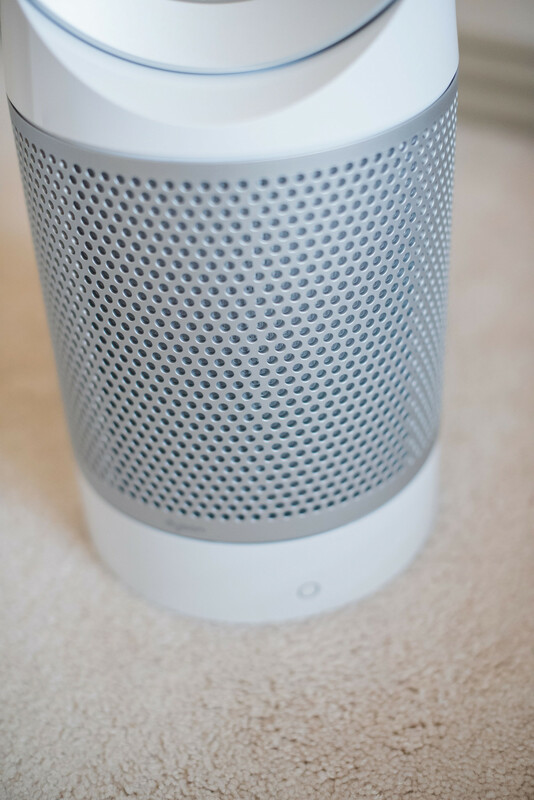 Just like the purifier, these products have amazing customer reviews. And, yay, eBay is having a major promotion on refurbished Dyson products. 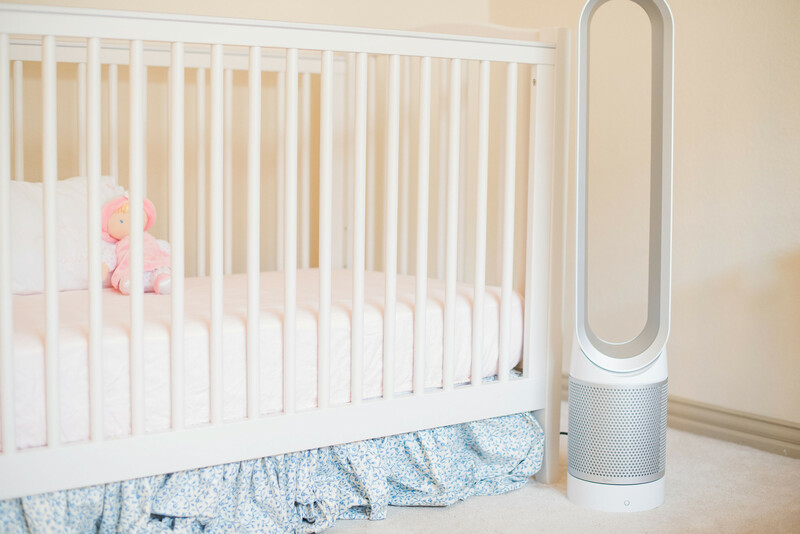 My next purchase may be the the Dyson humidifier which doesn’t have to be cleaned out every night – a huge help if your child requires a humidifier every night. If you deal with dry eyes or sinuses, the humidifier may be the perfect Christmas gift for you! Do you know what my pet peeve is in the winter? When people touch my baby’s hands. Don’t people know that babies put their hands in the mouth ALL THE TIME so touching their hands is the fastest way to spread germs to them. 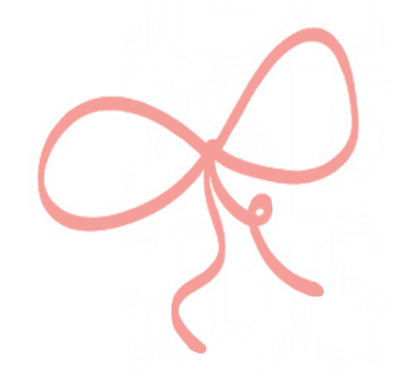 So I thought today’s post would be the perfect time to share four gracious etiquette tips when it comes to handling babies. 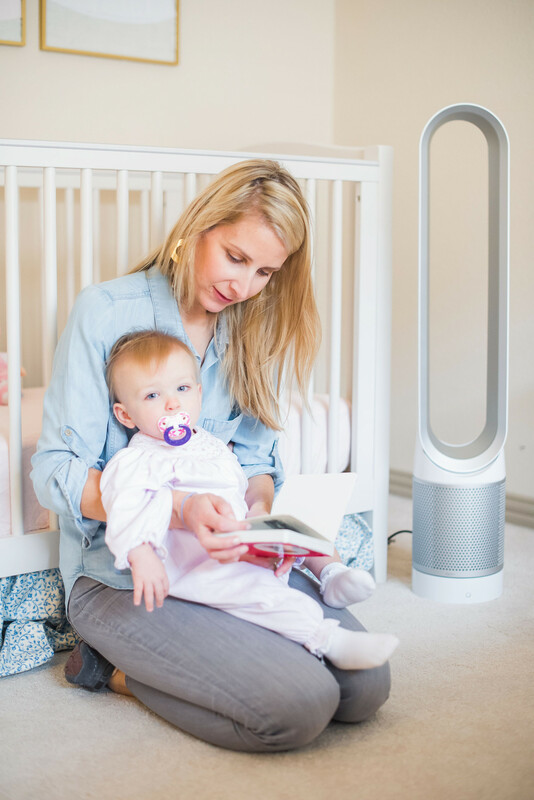 Never visit a new mama and her baby if you are ill, even if you think it could “just be allergies.” A simple runny nose could be the start of something that could be detrimental to a tiny immune system. Did you know that if a newborn gets a high fever they may have to have a spinal tap? That new mama would much rather you wait until you are 100% well. Always wash your hands before handling a baby. Even if the mom doesn’t ask she will be so appreciative of your thoughtfulness and care in handling her baby. Always ask before touching or picking up someone’s baby. Mind your toddlers and preschoolers. Of course they love babies but they also tend to go right for the baby’s face and toys. So ask the mom if it’s okay if your toddler approaches. Second, train your little one to touch a baby’s feet, not his or her hands. 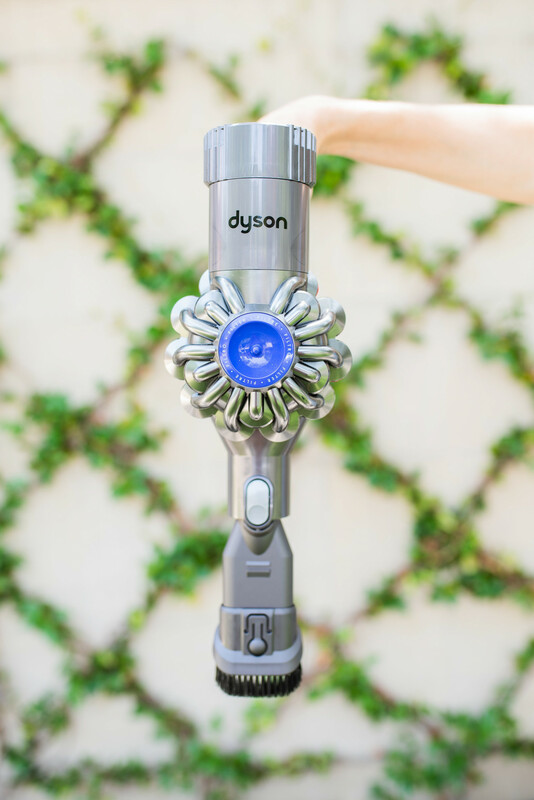 There will be lots of Dyson products on DoSayGive’s Holiday Gift Guide launching tomorrow! Subscribe to DoSayGive to get first access. We say “only touch bows and toes” when we see little ones for the first few times!! What a great thing to say!! Filing that away!